One of our new Ikebana students asked me what kind of plants to grow in her garden. She is very lucky to have some space to grow special plants for Ikebana. Here is a list of 10 plants that I found very useful for Ikebana and relatively easy to grow. Start to collect these plants in your garden. They are all in my garden. I'll present some other time a list of 10 plants for more advanced Ikebana artists. 1. 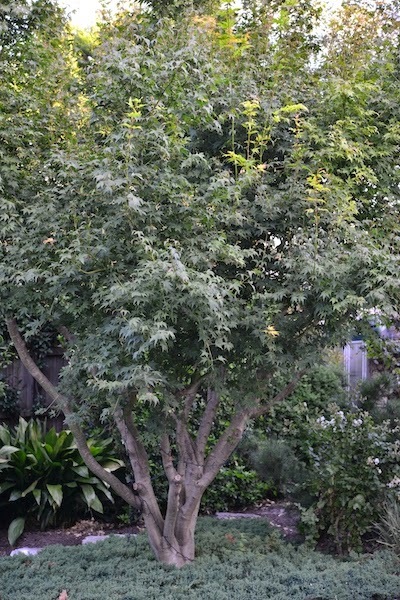 Japanese Maple (Momiji). You must have at least one maple tree. I am fortunate to have seven. 2. Japonica (Boke). Personally I like white best. If possible please grow red and pink as well. 3. 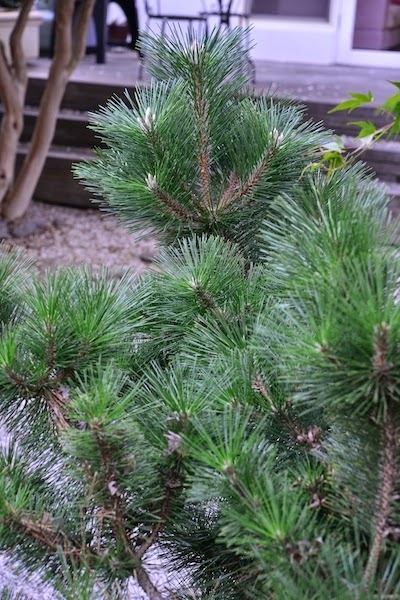 Black Pine (Kuromatsu). There are many types of cypresses or pines that are useful for Ikebana. Choose what you like. If you have large space, Black Pine is the best. 4. 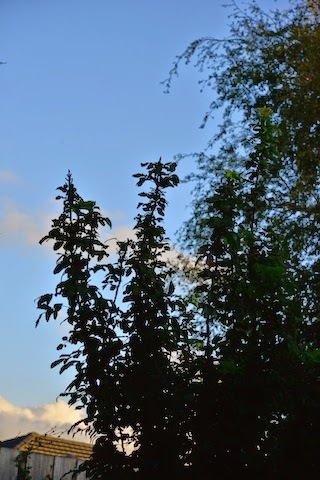 Japanese Mahonia (Hiiragi nanten). There are several types. I like the one with smaller leaves. 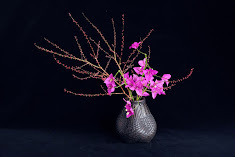 Its branches are ideal for practicing basic styles of Ikebana. 5. Camelia. Popular types in Ikebana are white single petal ones such as Kamo Hon Ami, Wabisuke or Shiratama. The photo is our new Kamo Hon Ami. I am looking for Wabisuke now. 6. Vines. They are wonderful for Ikebana. Jasmine is good. 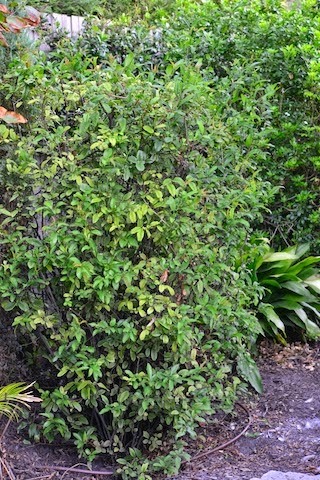 My favourite is Chocolate Vine (Akebi)(photo). 7. Pieris/Temple Bells (Asebi). They are so beautiful all year around. 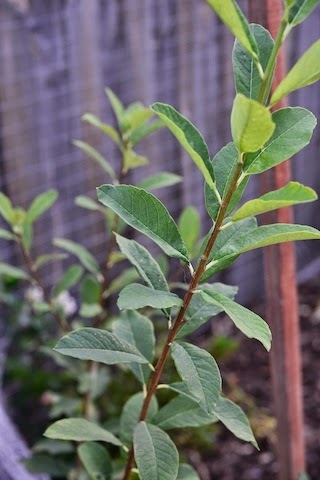 My recommendation is one with bright green leaves and pure white flowers. 8. Magnolia. I have Royal Star (Kobushi) and Manchu Fan. Choose what you like. 9. Throatwort (Yugiriso). This can be a nice filler for any style of Ikebana. 10. Pearlbush (Rikyubai). Its white flowers in spring are so sweet.